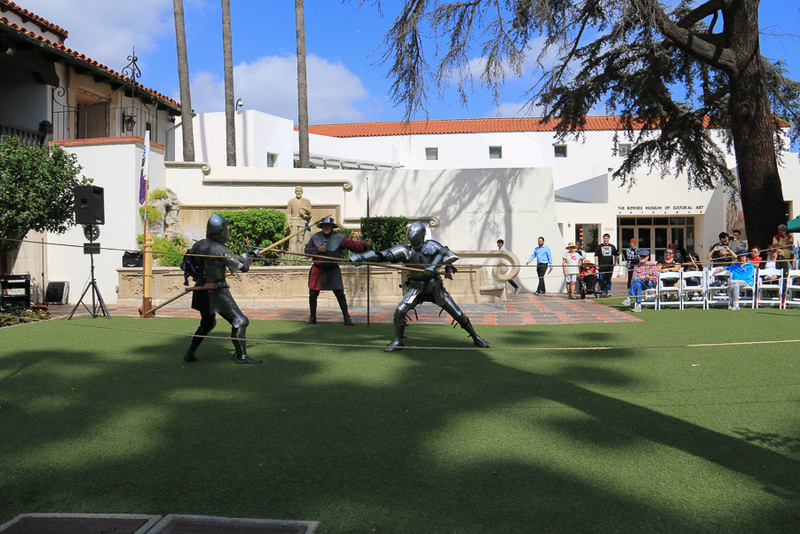 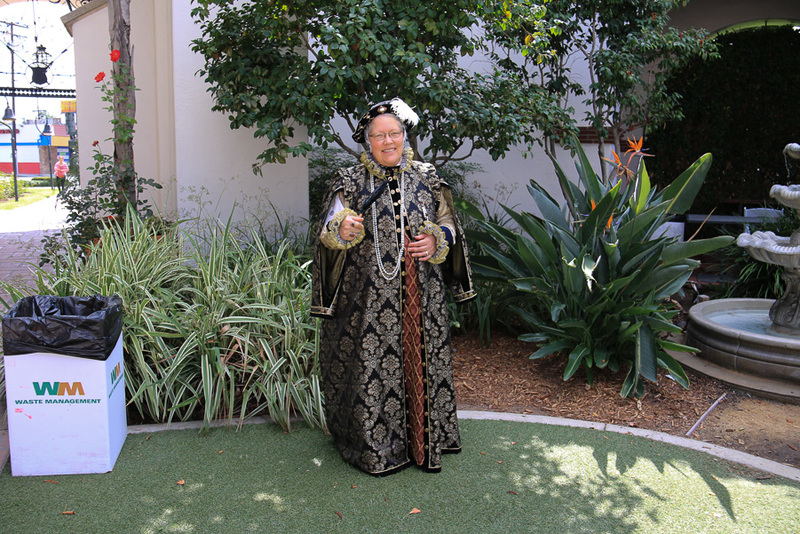 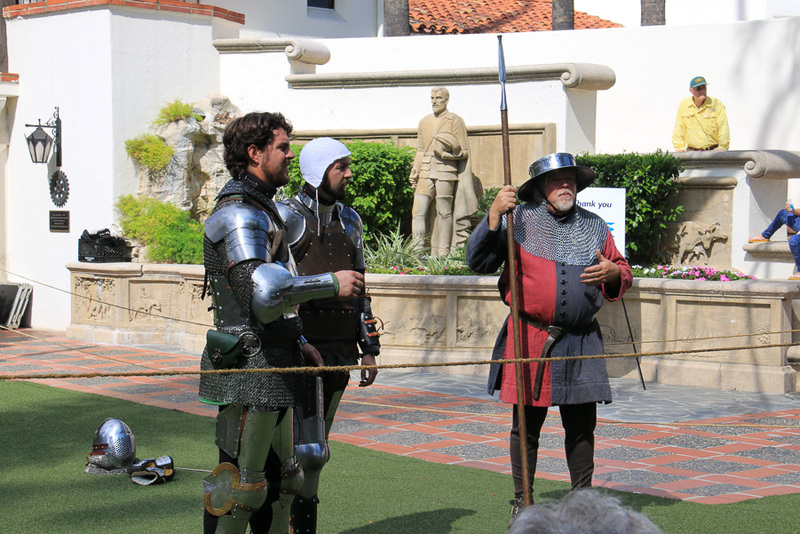 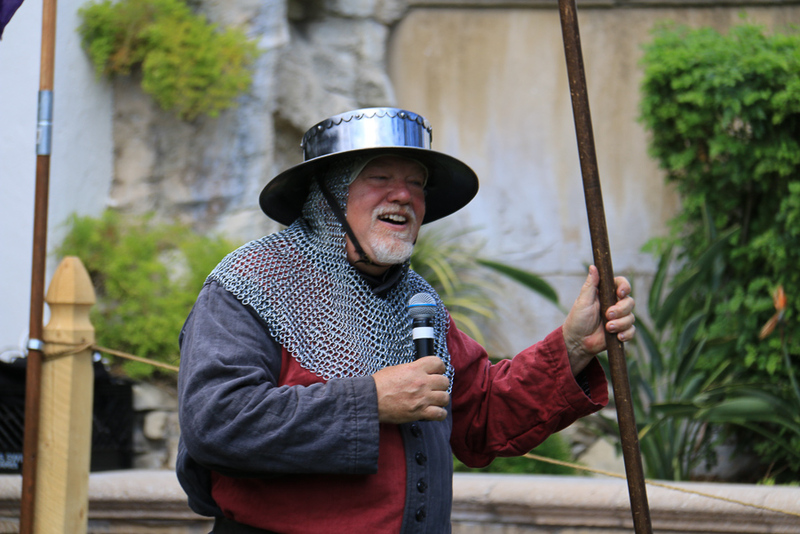 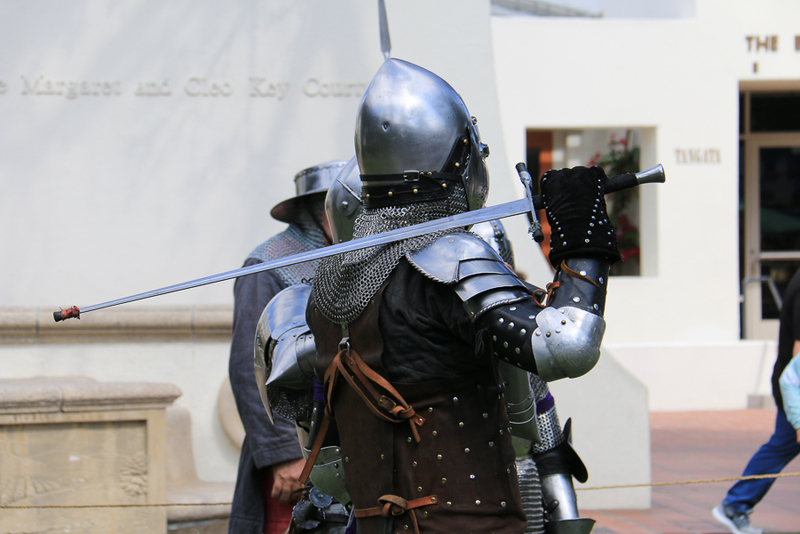 October 7, 2018 - We were at the Bowers Museum in Santa Ana, CA today to see their Italian Renaissance Festival. 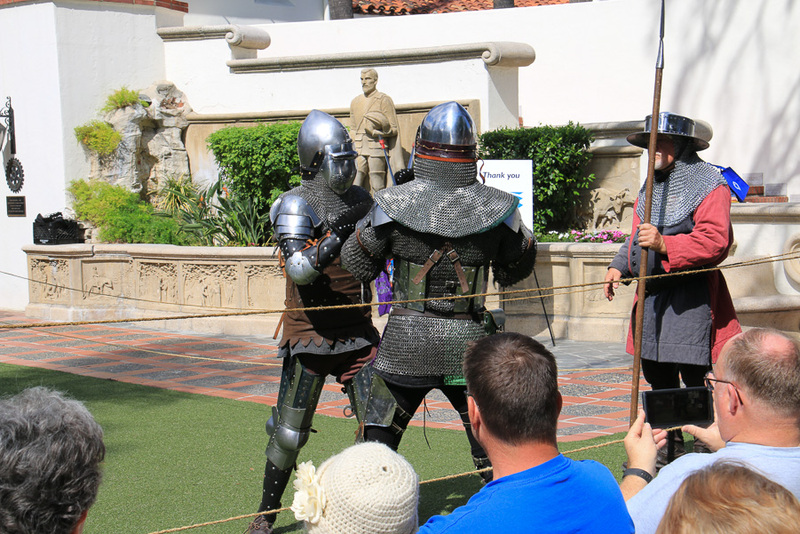 It promised knights in armor demonstrating historical dueling techniques, Western Martial Arts interpreters, and fashion experts dressed in Renaissance garb appropriate to the region. 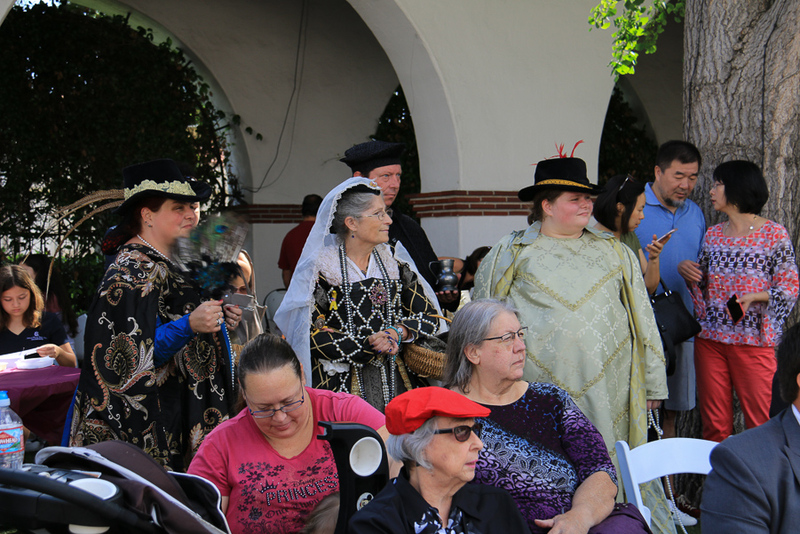 It promised to be a colorful affair and the museum has always put on a good show for their special events. 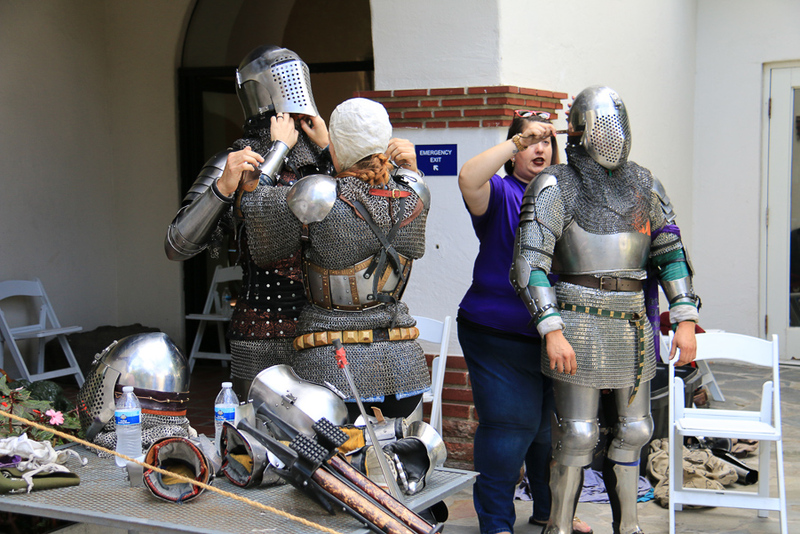 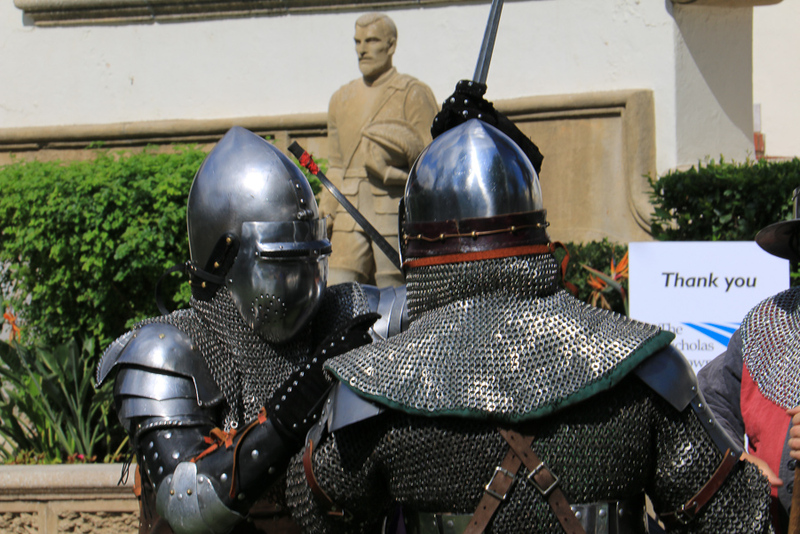 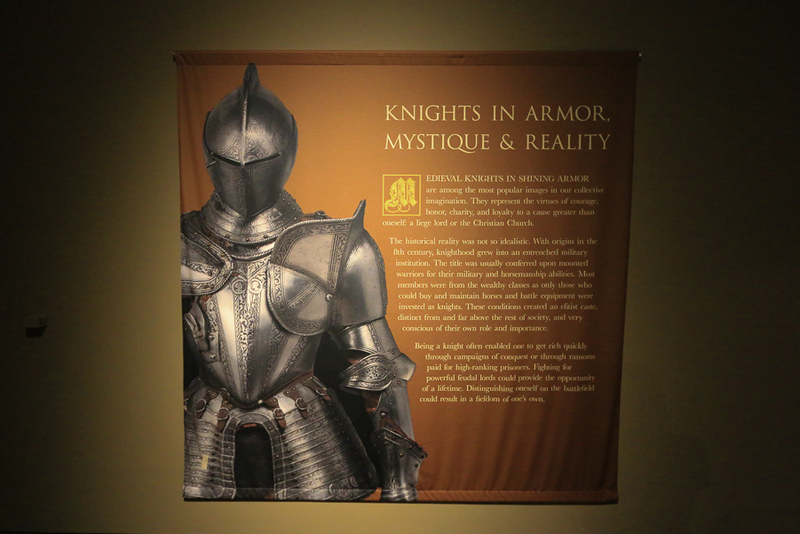 The knights theme tied in with their current exhibit, Knights in Armor. 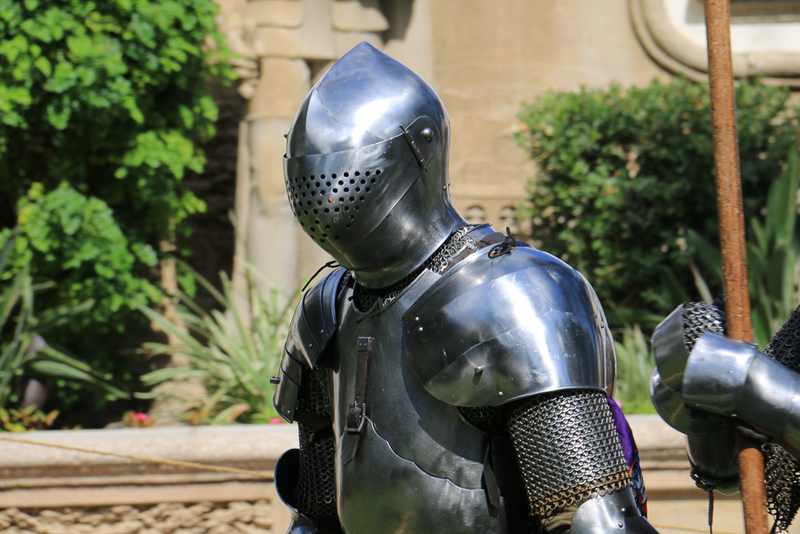 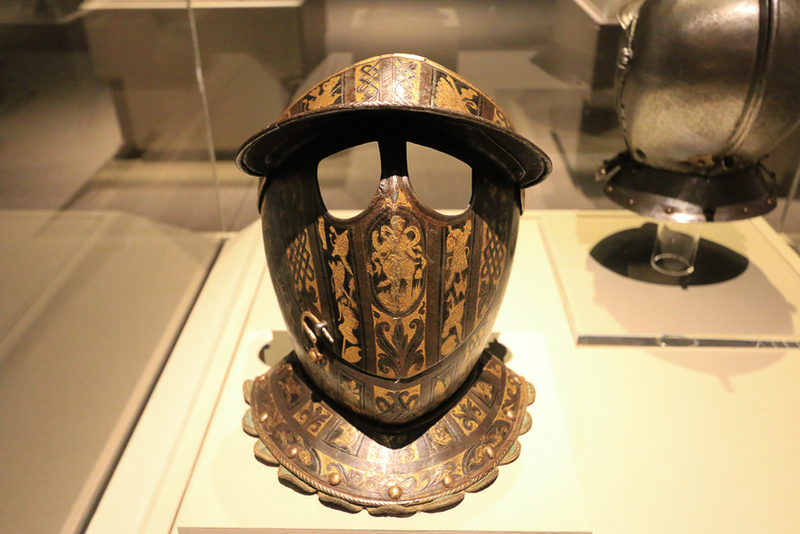 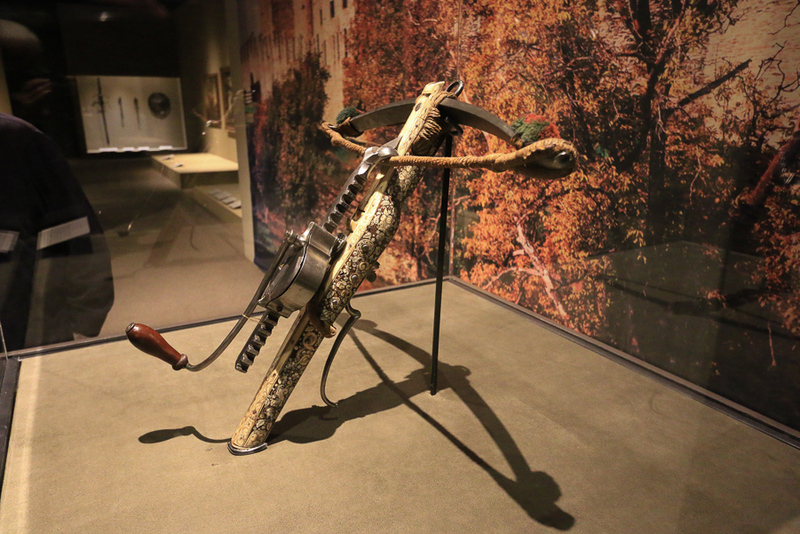 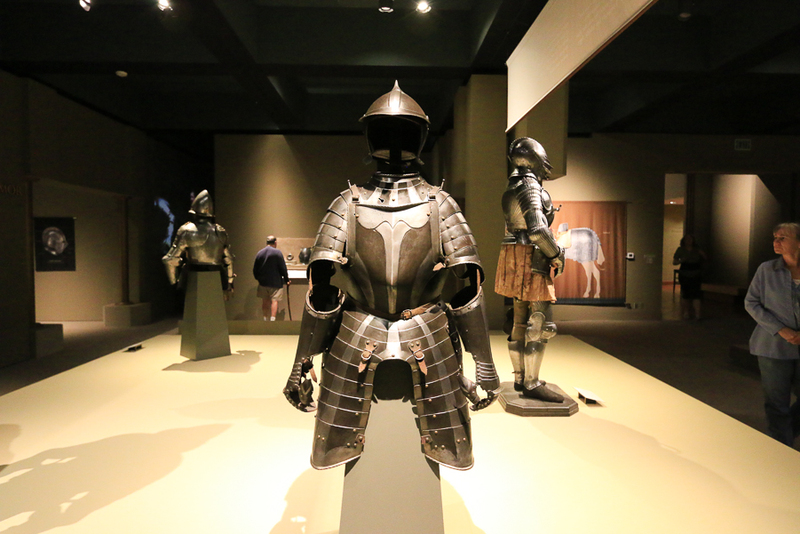 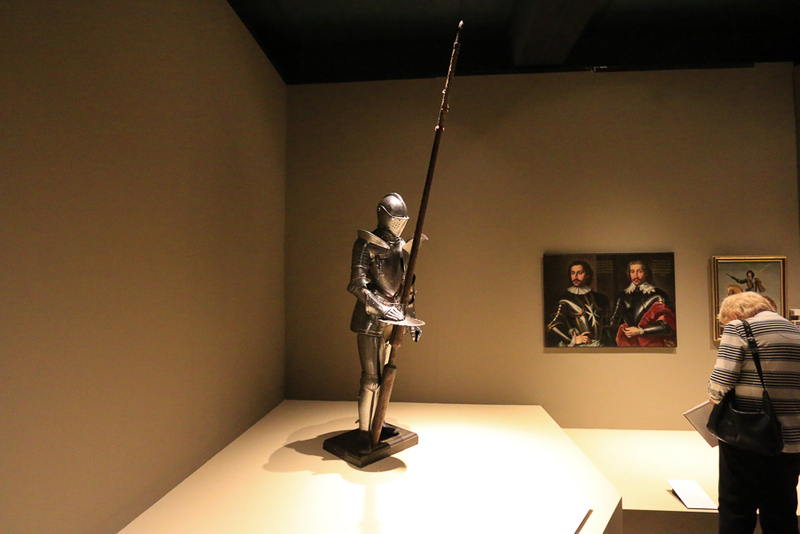 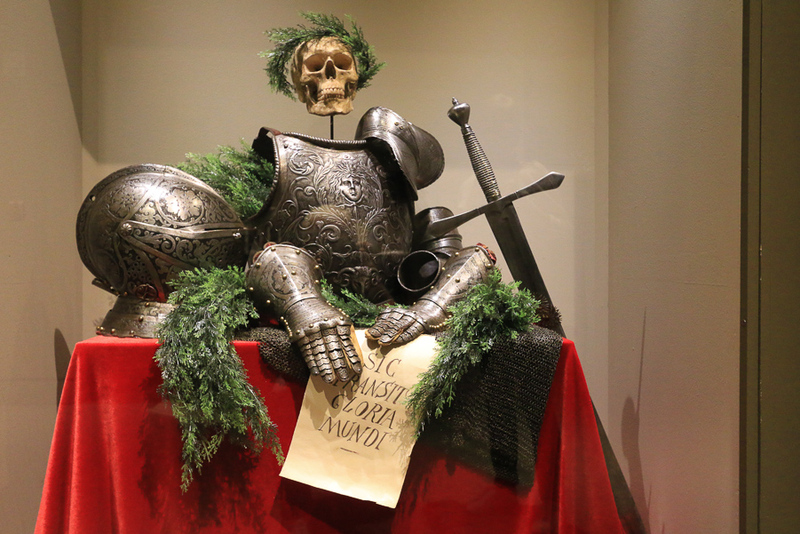 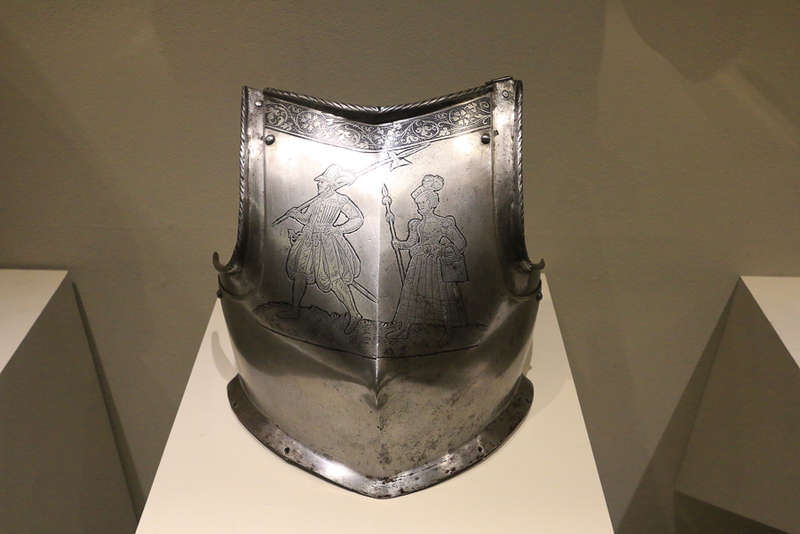 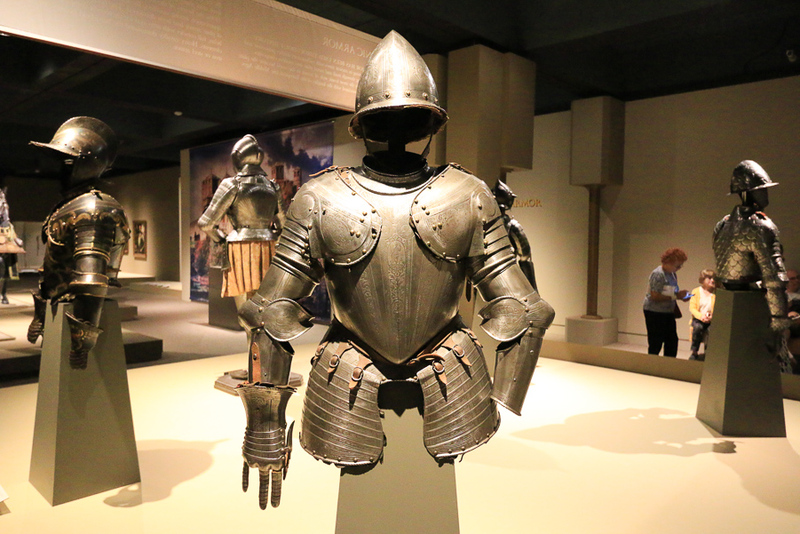 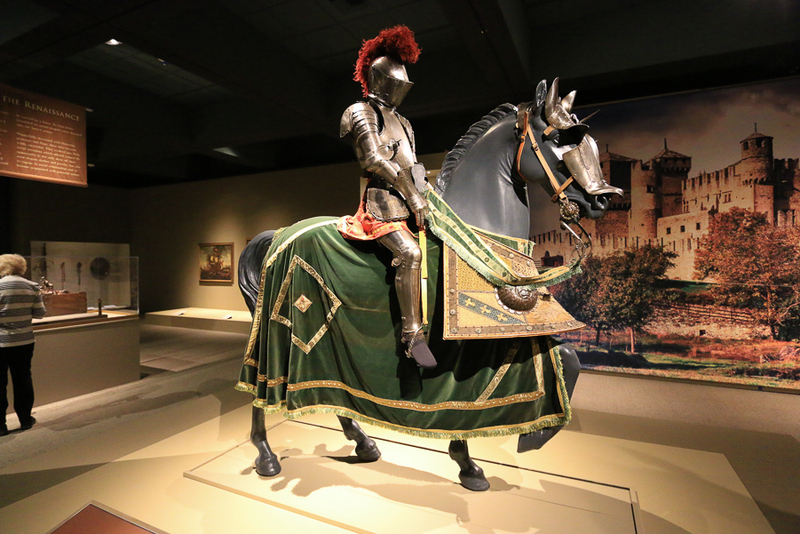 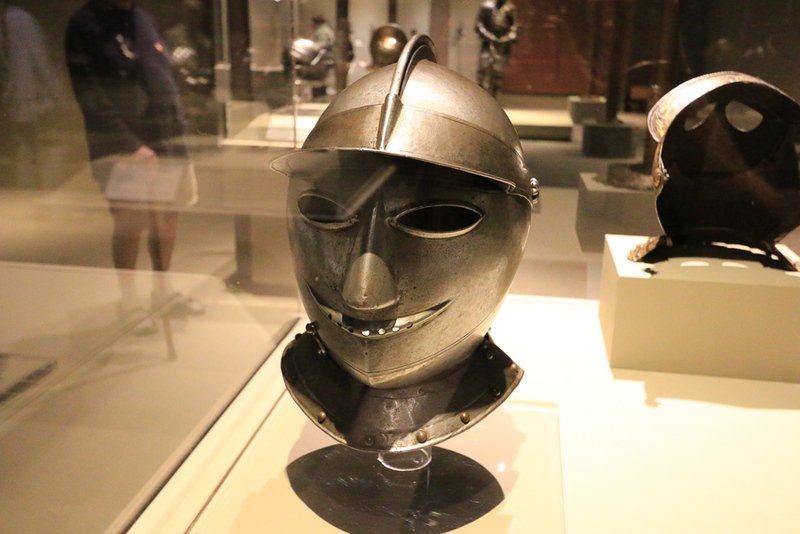 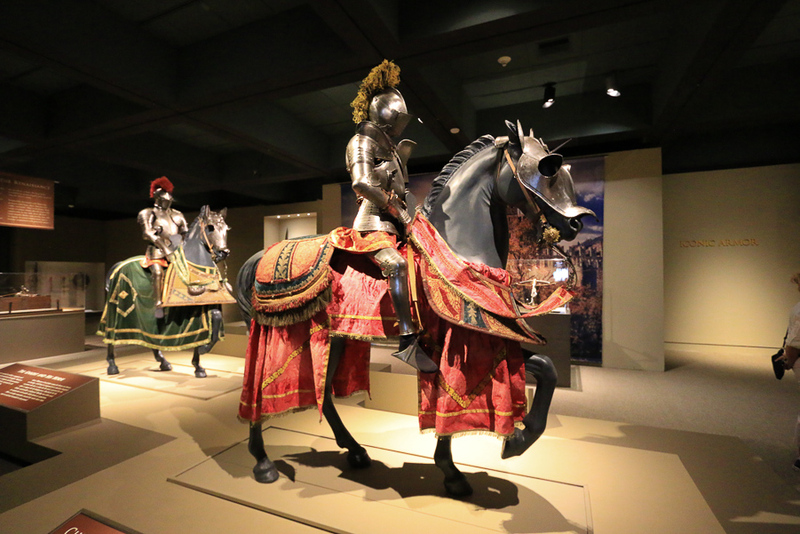 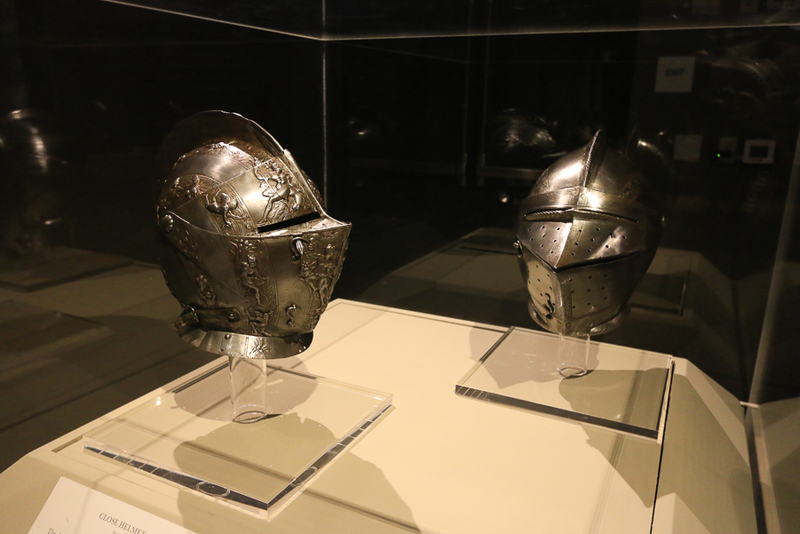 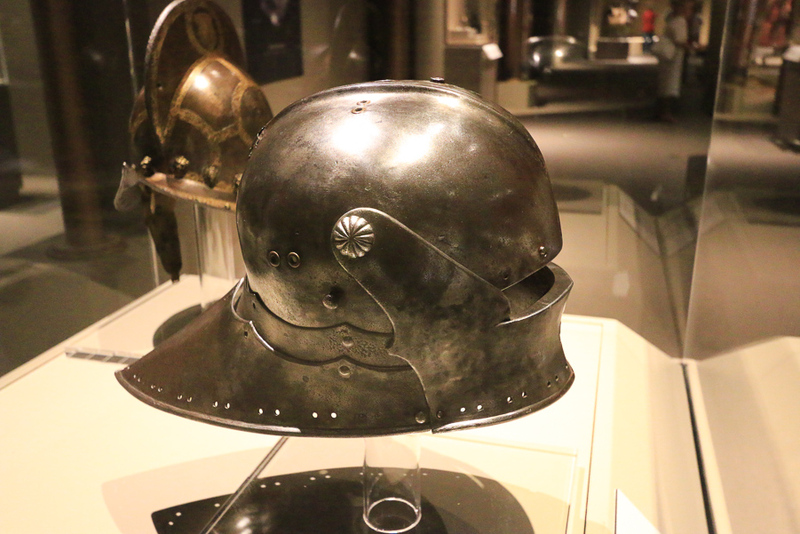 The exhibit features stunning masterpieces of European arms and armor, dating from the Medieval and Renaissance ages to the Romanticized Medieval revival of the 1800s. 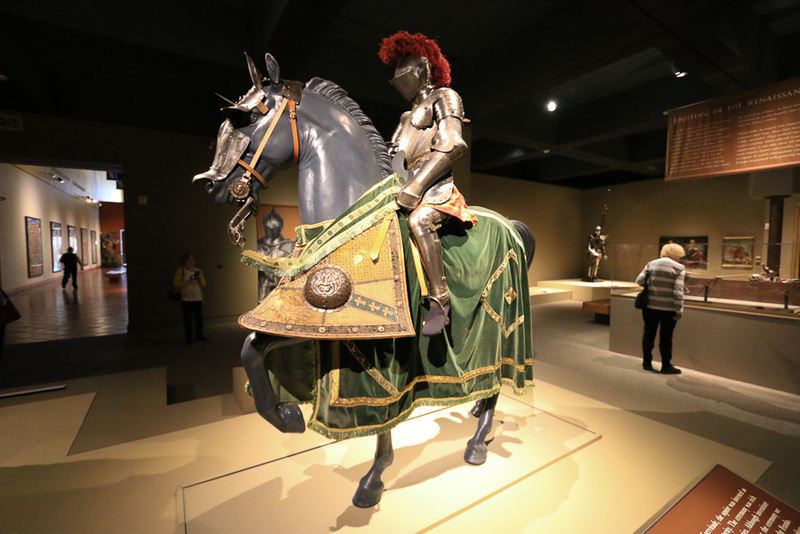 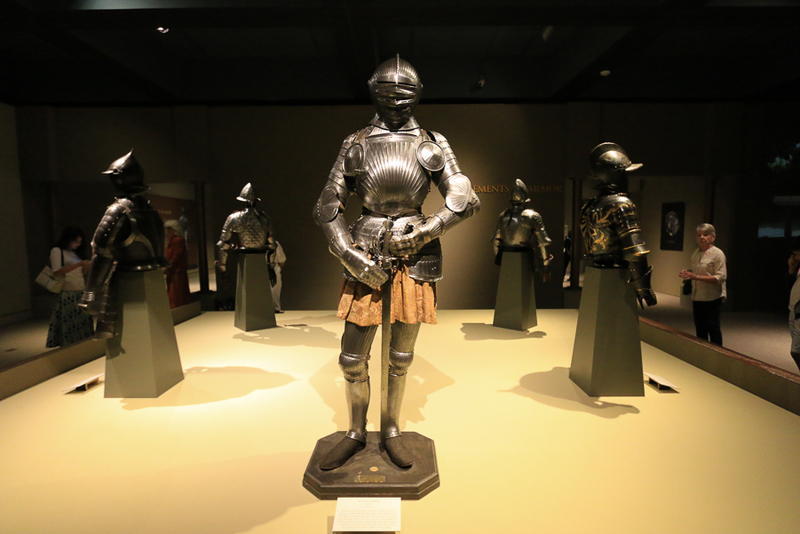 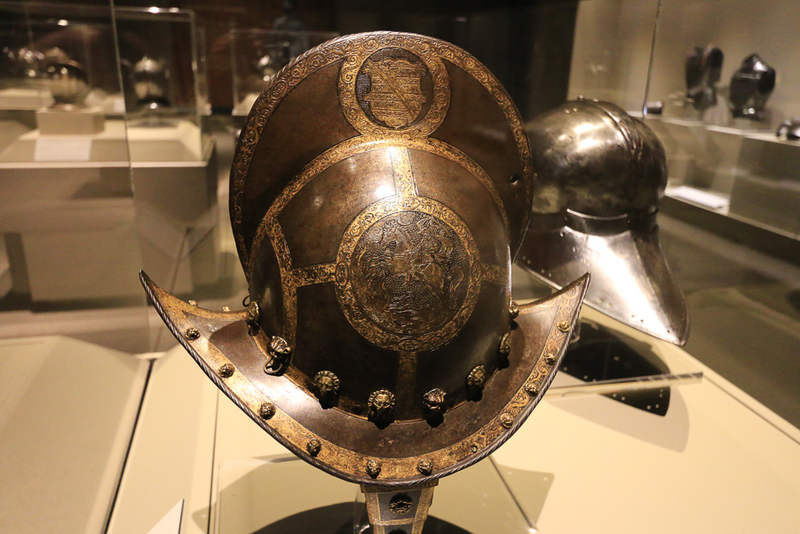 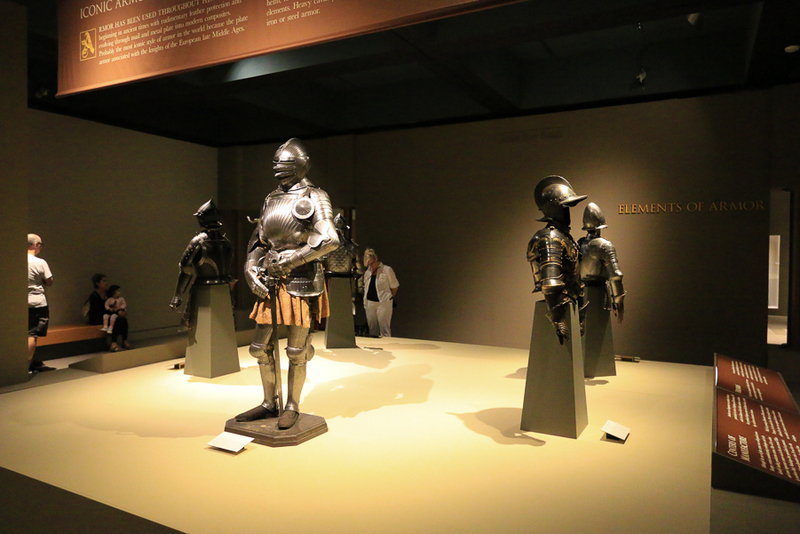 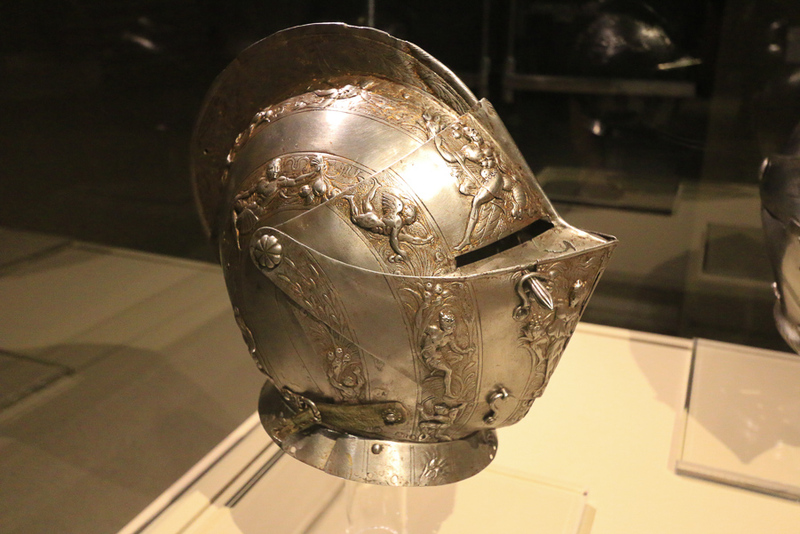 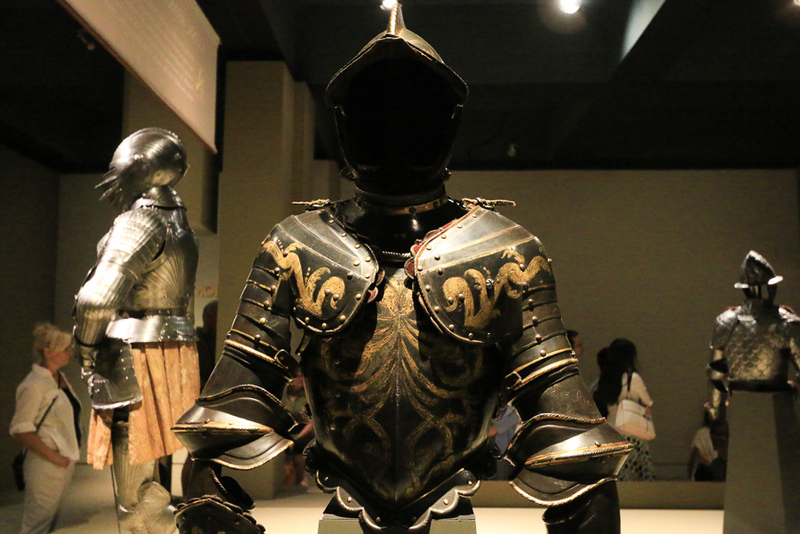 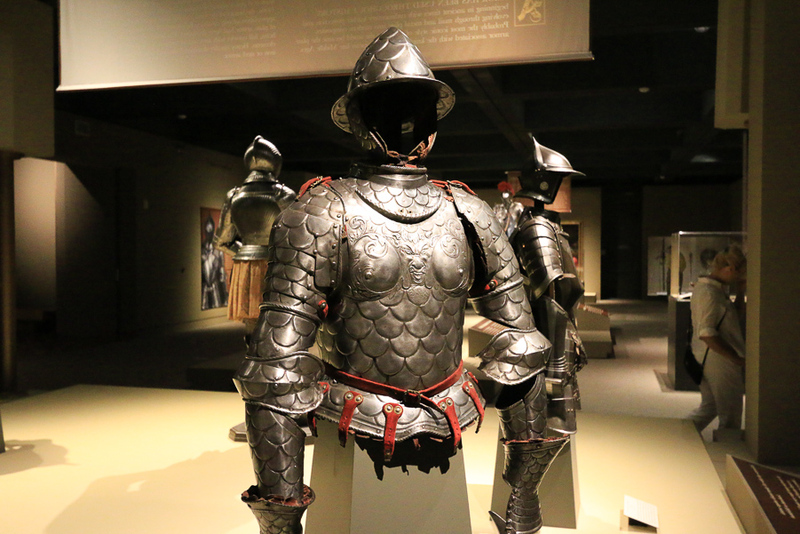 The provocative beauty and the exquisite craftsmanship of more than 90 pieces of armor, including full suits, helmets, corselets, shields, swords and paintings are on loan from the Museo Stibbert of Florence, Italy. 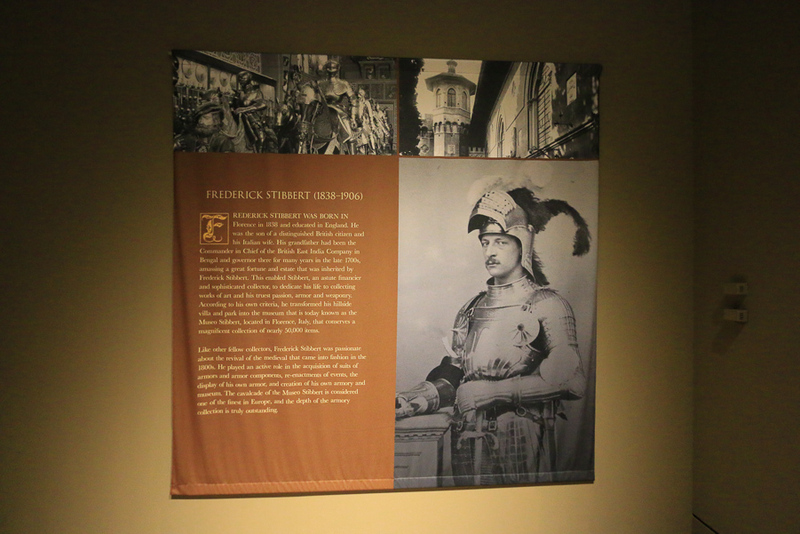 Frederick Stibbert absolutely loved his collection! 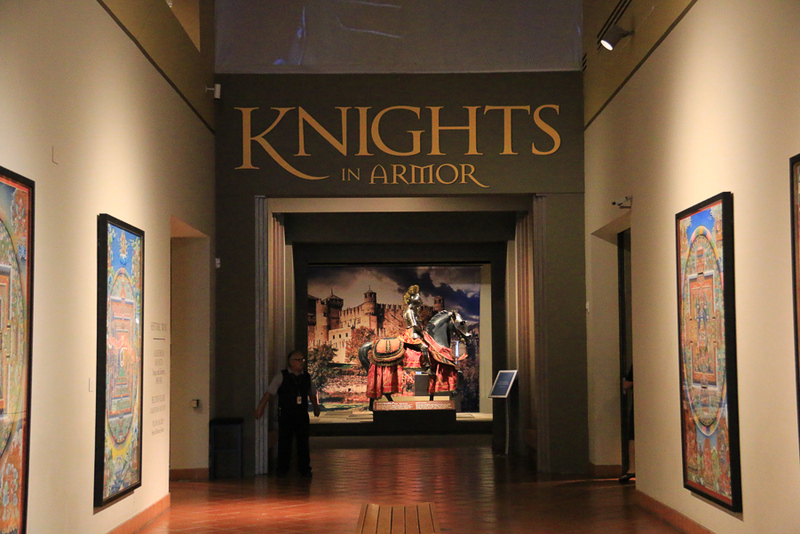 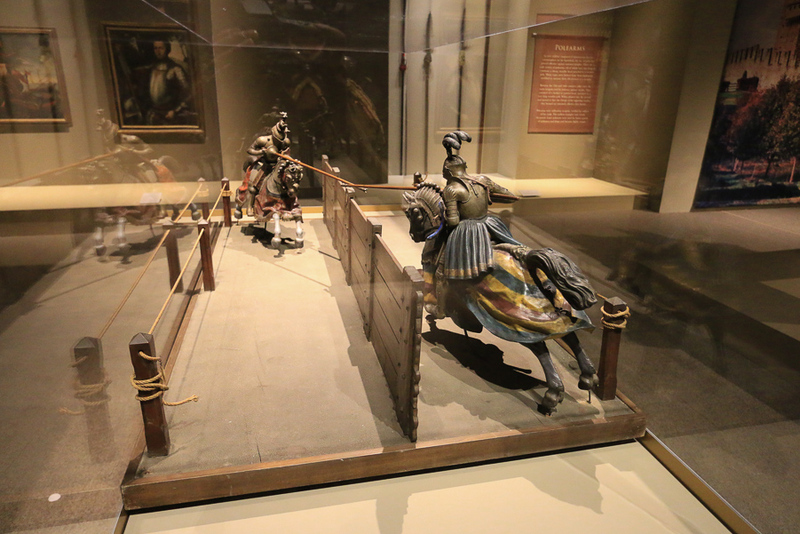 We loved the exhibit and the "dueling" knights put on a good show. 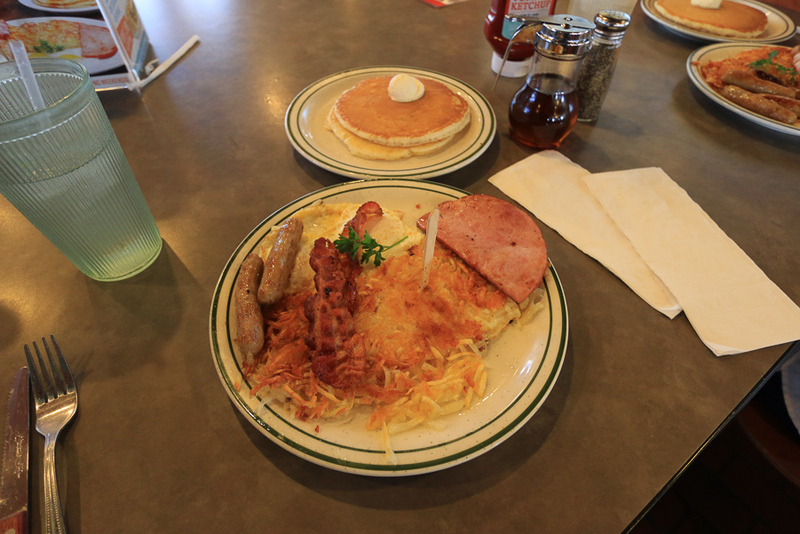 Before the museum, we stopped for brunch/lunch at Norms. 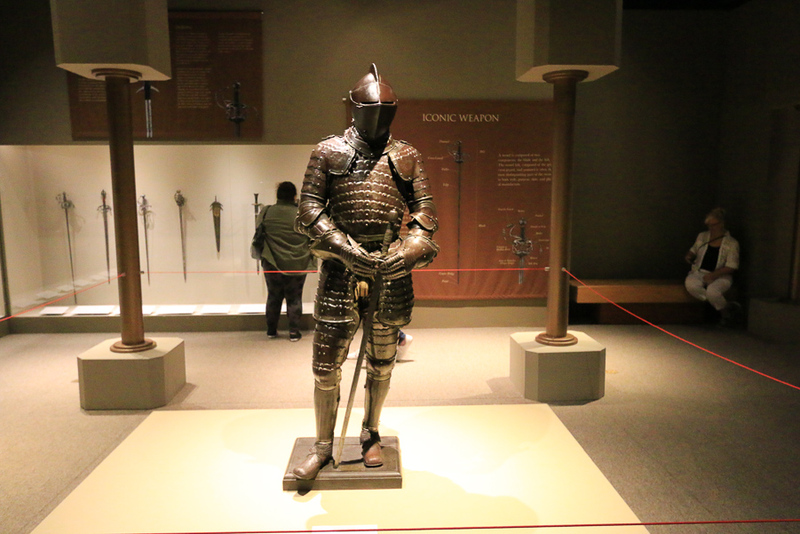 It was unusually crowded today, but we were lucky to get two counter seats right away. 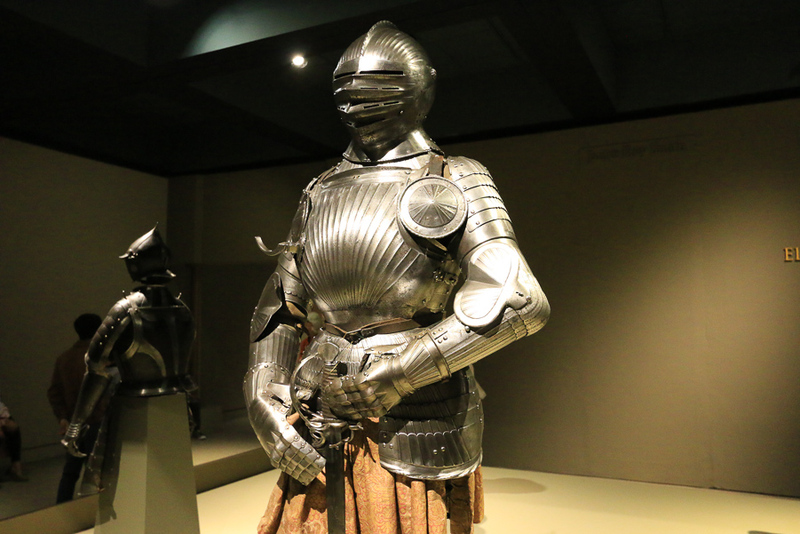 We both had their "Bigger, Better Breakfast," which was as good as always.